Automatic or Manual? You decide! For a vehicle to travel to a distance, the working transmission of its engine should be able to transfer power to its driving axle in the most efficient way. With the advent of the automated or self shifting gearing system in vehicles and consequently, it’s comparatively higher buying and maintenance cost, car owners have contemplated about which kind of a transmission they should adapt. However, although we know that transmission is important for the functioning of a vehicle, much debate has been made with regards to what kind of a transmission works better – the automatic one or manual! Both transmissions have their individual pros and cons and have better working in specific driving conditions. Therefore, before you decide your take on which transmission type works better for you, have a look at the features and benefits associated with the manual and automatic transmission. In spite of the ease in driving introduced by the automatic transmissions, numerous experienced drivers are still in favour of the manual transmissions for a number of reasons. They maintain that manual transmissions allow them to be more involved with the workings of their vehicle. Below mentioned are certain aspects which pit the automatic transmission against their manual counterparts. Manual transmissions have comparatively more gears, weigh lesser and are less complex than the automated ones. Therefore, drivers who operate on manual gears are able to clock more kilometres by saving between 10 to 15% of the fuel as compared to automatic transmission. Manual transmissions are far more cost effective with the difference in the price of the vehicle being about a thousand dollars approximately. Therefore, if you are intending to buy a car on a budget, manual transmissions should be your preference. The added technologies in the machinery of the automatic transmissions can be expensive to maintain while the manual gears are easy to maintain and cost much less in terms of servicing and repairing. Although automatic transmission is designed to select the best gear for a given situation, sometimes they tend to pull a higher gear leading to more consumption of engine power. Simultaneously, since they are designed to respond in a particular way for a specific type of a condition and therefore, this prevents the driver from purposely making a gear selection for additional power. Manual transmissions, thus provides the driver with much control of the vehicle and are known for the speed while automatic transmissions provide simplicity. A car packed with automatic transmission has a higher chance of being stolen therefore, courtesy it’s growing demand and popularity and the fact that the new generation does not understand the working of a manual transmission. Therefore, a car with manual gears stands a far lesser chance to be stolen. In the past few years, automatic transmission has enjoyed much repute and demand from the car purchasers and a whole new era of young drivers do not know what it takes to drive a vehicle with manual transmission. Despite the growing popularity of the automatic transmission, they cannot be completely considered superior to their manual counterparts as even today, numerous young and old drivers still consider manual transmissions to the be the ideal technology for vehicle driving. However, automatic transmissions offer a host of benefits in several key aspects, details of which are listed below. 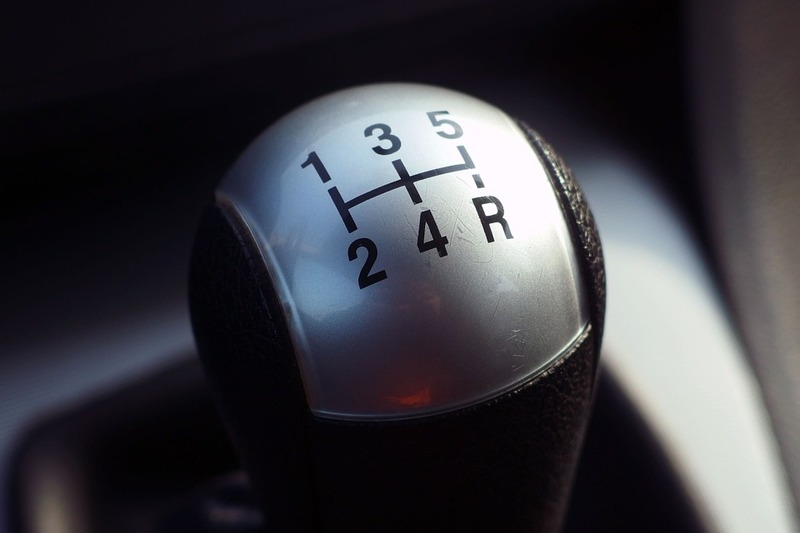 In manual transmission, it takes rigorous practice for the driver to master the art of shifting gears and operating the clutch before he gains the confidence to drive the vehicle independently on the road. Automatic transmissions on the other hand, are much simpler and take lesser time for the drivers to master the skills. The erstwhile process of teaching driving maintained that the driver should only hold the steering wheel with both hands to gain complete control of the vehicle although in reality, it would never be possible due to the constant shifting of gears. Automatic transmissions allow the driver to keep both their hands firmly on the steering wheel. Those who have driven manual transmissions in hilly areas know that it is not an easy task to drive the vehicle in steep slopes and that it takes quite an experienced hand to achieve this. The endeavour is comfortably taken care by the automatic transmissions wherein even a not so experienced driver can drive the vehicle comfortably in hilly areas. While moving through heavy traffic, drivers of manual transmission have to undergo much work in constantly starting, stopping, accelerating and decelerating the car which becomes a cause for discomfort. In automatic transmission, however, during heavy traffic, all the driver has to do is push a pedal to accomplish the given activities. If you have driven a manual transmission, you are likely to experience that awkward moment when the car suddenly stops when you are about to move with the change in the traffic light. There is no such sudden stalling associated with automatic transmissions. A number of things need to be assessed before you decide on which type of a transmission you would prefer for your vehicle. If you need more power, speed and fuel efficiency for your vehicle and prefer to have complete control over your car, manual transmissions should be your best bet. On the other hand, if you are looking for convenience, comfort and a hassle free drive, you should consider opting for automatic transmissions. Also, if you are looking to buy a car for power and comfort simultaneously, you could consider a semi automatic transmission which is called by different names by various vehicle manufacturers. Mostly found with the sports model of the vehicles, these transmissions are mostly automatic with the option to navigate them manually as well. Therefore, whether you should adopt a manual transmission or an automatic transmission is your decision completely! So you decide! How do dashcams help with claims? What is a double cab? How do I work out my car’s value?